Speedy Cash address, phone, website, and more. When it comes to your money, Speedy Cash means business. We understand that you may be in a tough situation, and we’re here to get cash in your hands quickly. That’s why Speedy Cash offers three convenient ways to apply for a loan – so you can choose the solution that works best for you! Whether you need quick cash in an emergency or your budget simply fell short, our easy, fast cash loans have you covered. 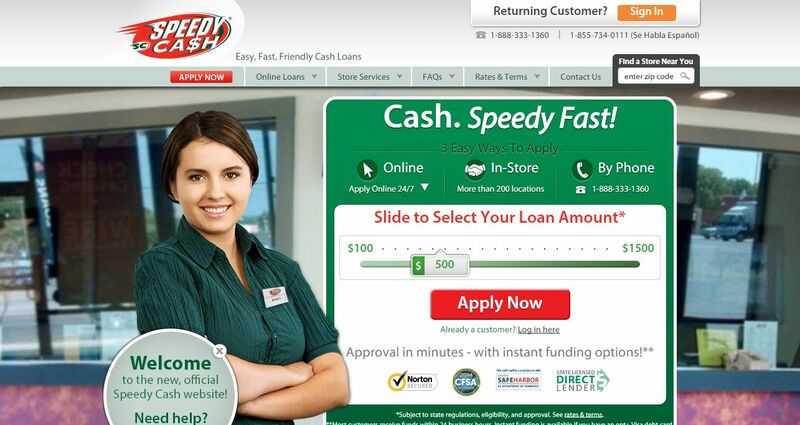 As one of the few state-licensed direct payday loan lenders, Speedy Cash not only processes your application but we also directly fund your loan. As a trusted lender since 1997, we pride ourselves on providing critical funds to hard-working people who may simply need a little help from time to time. Speedy Cash loans are different from the services offered at traditional financial institutions.